Luxury Properties Jackson Hole has a growing portfolio of some of the most exclusive vacation rental homes in the area. Whether you desire to be close to the slopes of Jackson Hole Mountain Resort or prefer the calm and quiet of Jackson’s more private neighborhoods, Luxury Properties Jackson Hole has a place for you. Our portfolio of exclusive properties, as well as our high, uncompromising standards, ensure that you will feel right at home while on vacation. Browse our selection of homes online or contact us to find the one that’s right for you. Not sure what property is for you? Tell us about your group and we will suggest the perfect home for your next Jackson Hole vacation! Situated in the shadows of the Teton Range, Bear Trap Cabin boasts unmatched views of the Teton Range and offers convenient proximity to the best that Jackson Hole has to offer. At the end of a long, quiet, private road where wildlife abounds, and mountain views extend in every direction, sits Bellevue Lodge, an expansive and exclusive retreat for guests to enjoy unmatched privacy and luxury in Jackson Hole. Stay in forested privacy at Bluebell Cabin, our newest rental located in Indian Paintbrush. Bluebell Cabin exemplifies rustic elegance with a spiraling log staircase, vaulted ceilings, and modern appliances and fixtures. Located at the base of Jackson Hole Mountain Resort, Cody Peak Lodge is one of the premier vacation rental homes in Jackson Hole. Ski-in/ski-out access, wood fireplaces, and a hot tub all await you at this luxury rental. Unbeatable Fish Creek frontage and ideal Wilson setting! 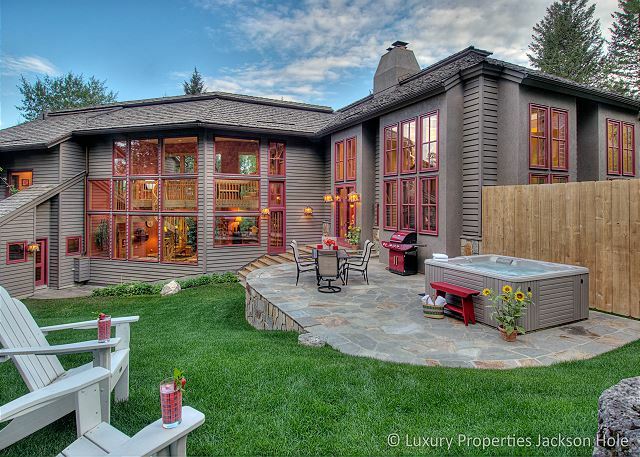 This five bedroom home is a truly unique Jackson Hole rental opportunity. The home’s spacious lawn and outdoor living areas are the perfect spot to sit and watch the creek flow by. Located in the prestigious Jackson Hole Golf and Tennis community, the recently updated Golf and Tennis Cabin 20 stands ready as your Jackson Hole vacation retreat. 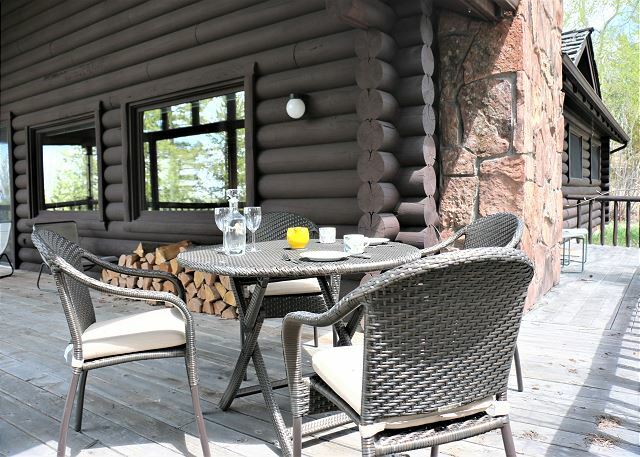 We invite you to enjoy the unbeatable views and location provided by this charming cabin! 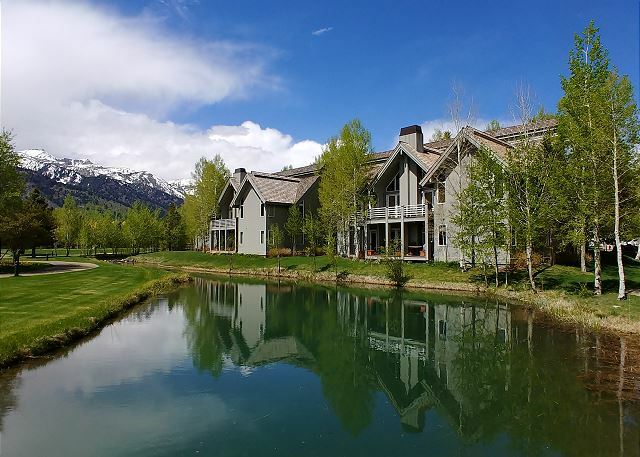 Granite Canyon Lodge is an elegant, high-end condo located only 5 miles from Jackson Hole Mountain Resort and 7 miles from the town of Jackson. Guests enjoy full member access to the Teton Pines Country Club, including golf, tennis, and pool privileges! Just minutes away from Jackson's Historic Town Square sits Horsethief Canyon Lodge, a showpiece of luxury vacation rentals in Jackson Hole. Open-floor living spaces, a home theater, a hot tub, and spectacular mountain views all await at this grand lodge! Just a short drive from Jackson's historic Town Square, Horsethief Hideaway is the ideal retreat for your Jackson Hole vacation. This home offers incredible privacy while still keeping your family close to Jackson Hole's world-class skiing and shopping. Lazy Triple Creek Ranch lies just north of Teton Valley in one of Idaho’s most dramatic landscapes. Bordered on two sides by the Big Hole Mountain Range of the Bridger-Teton National Forest, the 2200-acre property is a well-protected retreat. Located in Jackson's premier Gill Addition subdivision, this beautiful, modern, and light-filled home is just a block from Town Square! Whether its walking to the Town Square to shopping or driving to the ski resorts, you can't beat Moose Street Hideaway. This ideal cabin is just minutes from Teton Village, the slopes of Jackson Hole Mountain Resort, and downtown Jackson.This beautiful Westbank location offers excellent privacy and offers the opportunity to see wildlife right in the home's yard. 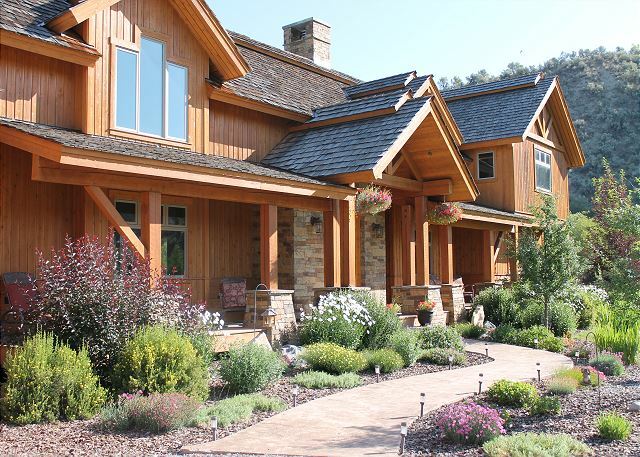 Enjoy unobstructed Teton views and unmatched privacy at this ideal five bedroom rustic lodge on 13 sprawling acres. Located in the prestigious Wilderness Ranches neighborhood, this one-of-a-kind home is an exclusive winter 2019 rental opportunity. Inside Jackson Hole's prestigious Shooting Star Ski and Golf Club at the base of Jackson Hole Mountain Resort, Mountain Vista welcomes guests with breathtaking views, comfortable appointments, and access to world-class amenities. A stay in Pearl At Jackson 303 is a stay in comfort. Enjoy the convenience and luxury of staying in a suite right in the heart of Jackson, with downtown dining, shopping, and entertainment only blocks away. Contact LPJH for more info! Pine Canyon 260 provides peace and comfort along the slope of Snow King Mountain, right next to Jackson. Enjoy spectacular views from floor-to-ceiling windows, a generous floor plan, and a convenient location in the heart of Jackson Hole. 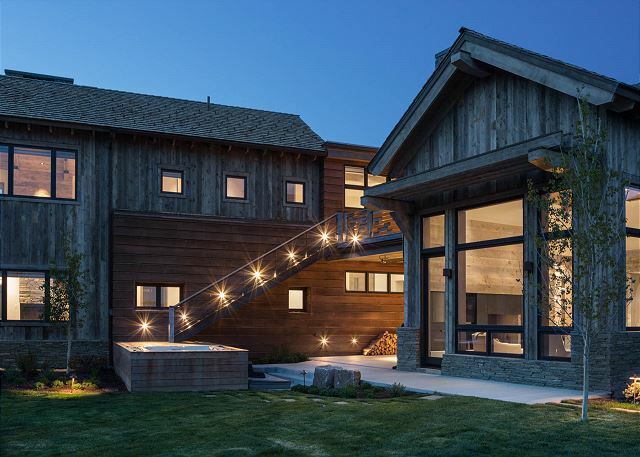 Randonnée Lodge sets the new standard of luxury rental properties in Jackson Hole. 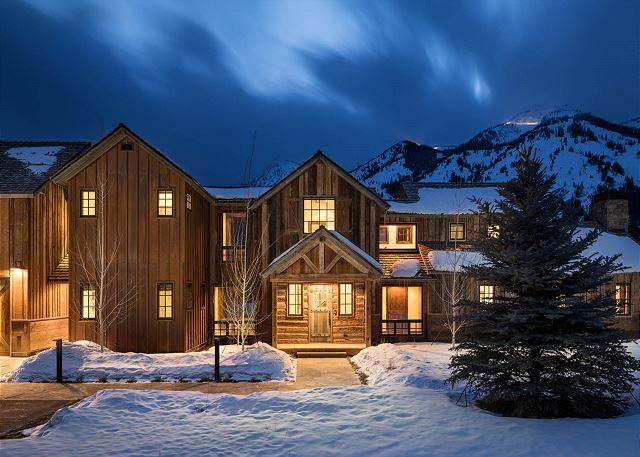 With convenient access to Teton Village and Jackson Hole Mountain Resort this exquisite five-bedroom home is the perfect venue for your Jackson Hole vacation. 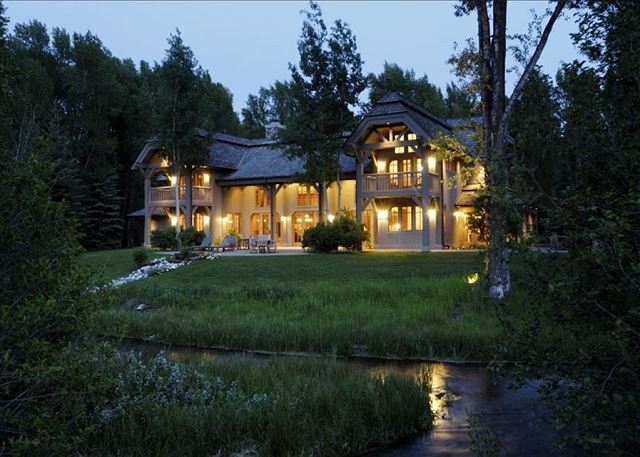 This exquisite luxury Jackson Hole rental home offers a quiet retreat with Teton Views! 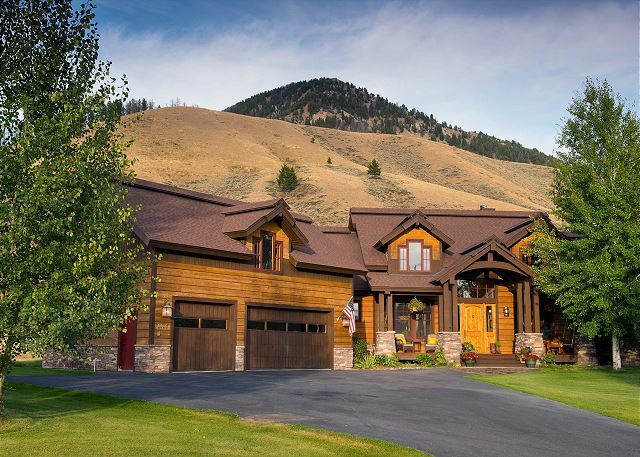 Take in immense Teton views in solitude at this gorgeous retreat settled atop Saddle Butte Drive! Retreat at Saddle Butte is a rare find that flawlessly merges the cozy comforts of a Jackson Hole cabin with an aesthetic showcasing Jackson Modern design. Nestled amongst the trees, Snake River Woods Lodge offers the utmost in privacy and Western hospitality. Five bedrooms and gracious living spaced make this home an ideal family retreat. Solitude at Shootin' Iron is nestled in the quiet lower valley of Jackson, with large open meadows and expansive views of the surrounding mountains. This horse friendly neighborhood provides a country feel with the convenience of town mere minutes away. Situated in the flats of Bar B Bar Ranch, Teton Meadow boasts unmatched views of the Teton Range and offers convenient proximity to the best that Jackson Hole has to offer. 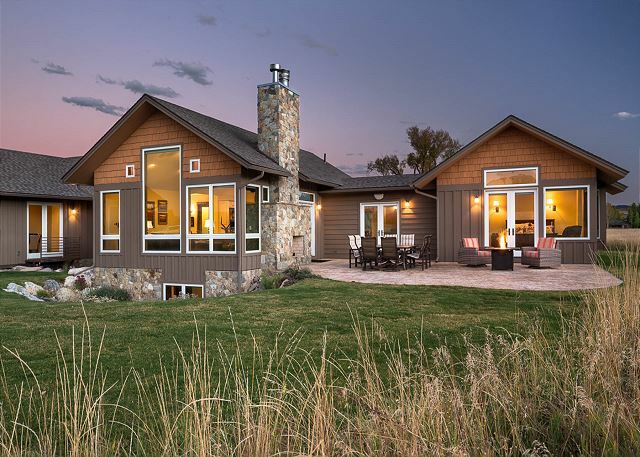 This exquisite, one-of-a-kind luxury rental boasts four bedrooms, comfortable living spaces, a recently remodeled, state-of-the-art kitchen, ample outdoor living, a fire pit, pond, a huge yard, and 360-degree views of Jackson Hole! 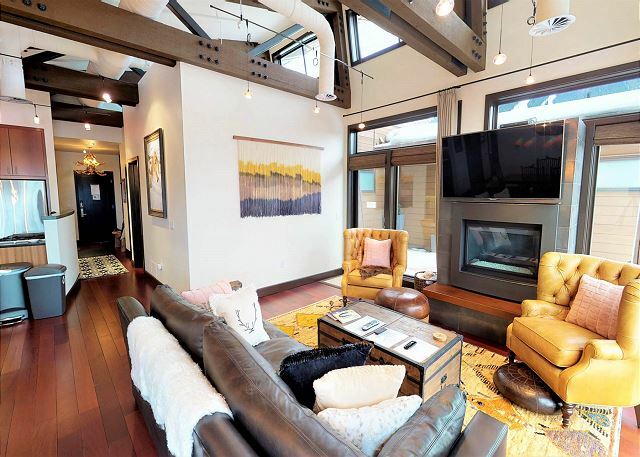 Enjoy authentic Jackson Hole at this unique rental opportunity. Located at the private and secluded Lost Creek Ranch community, The Caboose is the perfect retreat for anyone who wants to get away from it all. Welcome to our home in Jackson Hole. You will be staying in a splendid 6300 square-foot house on our 150-acre former ranch on the banks of the Snake River, with the Tetons soaring into the sky. Your family will be immersed in both luxury and wildness. Nestled among the Aspen trees of Jackson Hole's Westbank sits Wilderness Lodge, a modern-contemporary, five-bedroom home with tranquil surroundings and breathtaking mountain views. To request a reservation or inquire about one of our coming properties, please submit your inquiry below or give us a call at 307.200.2121.